FOMC minutes, existing-home sales and new-home sales will also be released next week. In a quiet week for economic data, the minutes of the Federal Reserve’s last meeting could make the most noise. 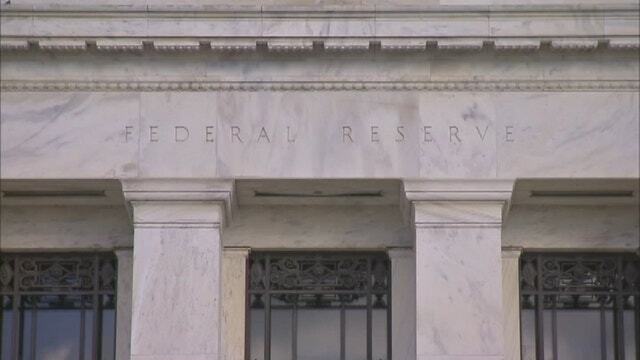 The release of the Fed’s May minutes on Wednesday will likely shed some light on which direction Fed members are leaning in terms of eventually either tightening fiscal policy or, conversely, expanding its bond buying programs if the economy continues to stumble. Fed Chairman Ben Bernanke could also address that issue when he testifies before Congress on Wednesday morning. Economic indicators have been mixed for months with some aspects of the economy such as housing looking stronger while others such as the jobs market have continued to lag expectations. Two months ago the Fed was openly considering scaling back its $85 billion per month bond buying program, known as quantitative easing. Then a disappointing March jobs report which showed just 88,000 jobs created had policy makers rethinking that shift. Decent April employment numbers – 165,000 jobs created – might have policy makers moving back in the direction of gradually scaling back QEIII. Also on Wednesday is the release of existing home sales, a number that should be ticking higher in midst of the spring buying season. Home prices have been moving higher in many areas of the country and inventories tightening, a good sign for that important sector. On Thursday the Federal Housing Finance Agency releases its housing price index and new home sales figures are also due. Friday will see the release of durable goods orders, a measure of demand for products made to last for more than three years. Notable companies set to release earnings next week include big retailers Home Depot (NYSE:HD), Lowe’s (NYSE:LOW), Staples (NASDAQ:SPLS), Target (NYSE:TGT) and Best Buy (NYSE:BBY), and also Campbell’s Soup (NYSE:CPB), and Guess (NYSE:GES).